Roland Sun-Dried Tomatoes are deep red in color with an intense sweet and acidic taste. They are place packed in olive oil in a 12 oz. glass jar. 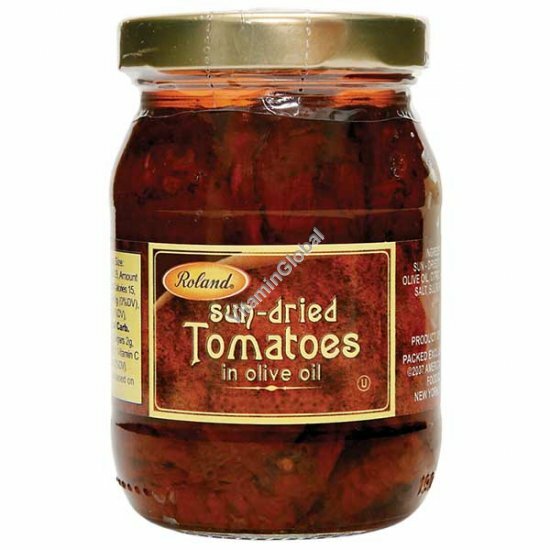 Roland Sun-Dried Tomatoes are edible as packed or can be used as an ingredient or flavoring agent. Preparation: Roland Sun-Dried Tomatoes are ready for use right out of the jar. Ingredients: Sun-Dried Tomatoes, Olive Oil, Citric Acid, Herbs, Salt.